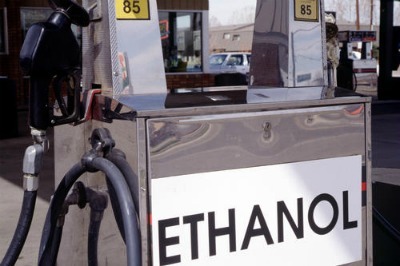 The Energy Independence and Security Act of 2007 (EISA) established the annual renewable fuel volume targets, which steadily increase to an overall level of 36 billion gallons in 2022. To achieve these volumes, EPA calculates a percentage-based standard for the following year. Based on the standard, each refiner, importer, and non-oxygenate blender of gasoline or diesel determines the minimum volume of renewable fuel that it must ensure is used in its transportation fuel. Based on analysis of market availability, EPA is proposing a 2012 cellulosic volume that is lower than the EISA target for 2012 of 500 million gallons. EPA will continue to evaluate the market as it works to finalize the cellulosic standard in the coming months. The agency remains optimistic that the commercial availability of cellulosic biofuel will continue to grow in the years ahead. Whoops! Mandating technological feats is harder than those Congresscritters thought. One of these days they will get it right. Unless some of the delayed-plants begin to seriously ramp up their production, I’d bet that the 2012 “mandate” will be lowered again from 3.45 million gallons. Note that no “qualifying” cellulosic ethanol (meaning zero gallons, of the original 250 million required in 2011) has been produced and blended into our petroleum as of now.